A meeting of the student self-government was held in the Institute of Physics, Mathematics and Information Technologies. On October 1, members of the student government self-government of the Institute of Physics, Mathematics and Information Technologies gathered to discuss the results of the academic year 2017-2018 and the work plan for the academic year 2018-2019. The following issues were put on the agenda: a report on the work done by the chairman of the Student Self-Government Council; renewal of the composition of the student self-government; The work plan of the student self-government for the academic year 2018-2019 and miscellaneous. The chairman of the student council Yulia Velichko spoke about the events held, namely: “Light a Candle of Memory”, “Institute’s Birthday”, “Vitamin for Heroes” and others, as well as about the daily activities of the student council: inspections of sanitary and hygienic living conditions in the hostel; checking current student performance; assistance to students who have problems with their studies; assistance to students who are temporarily displaced. After the report, representatives of students who entered this year were included in the ranks of the Student Council: Bohdan Oseledko, Anastasia Arsenyeva, Vitalii Kuznetsov, Oleksandr Bilyanskyi, Maria Shevchenko, Mykola Bakhtin, Artem Zhukov. Then there was a discussion of the plans for the current year, especially the events dedicated to the Day of Defender, dedication to students, “Coding Day”, “Europe Day”. 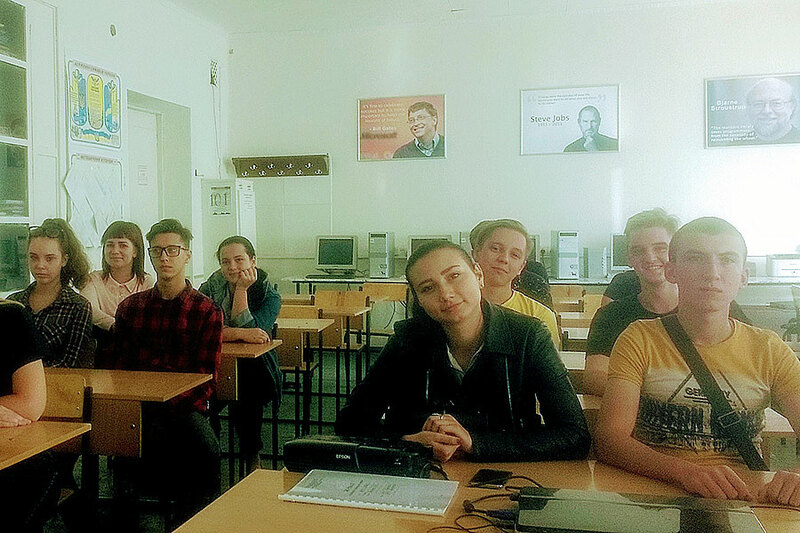 At the end of the meeting, the students discussed the possibility of creating the KVN institute team, the choice of representatives to participate in the university-wide events.